Why is America so divided, criminal justice expert Paul Brakke has asked in Fractured America and other books dealing with conflict and criminal justice published by American Leadership Books. He has posited some reasons and some fixes, and now he has found extensive research on the psychological factors that contribute to this growing divide. This research suggests a solution, too. Brakke points to a number of key findings. 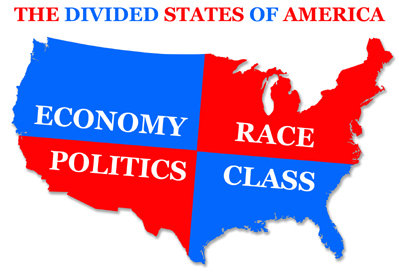 One is that the divisions in current U.S. politics are less about the issues than about being part of a team, such as "Team Red" or "Team Blue," as described in a September 2018 Psychology Today article "Why Has America Become So Divided" by Joe Pierre, M.D. His explanation is that individuals take sides by turning the other side into "us" versus "them" conflict. As a result, liberals become "libtards" while conservatives become fascists, so there is no basis for finding common ground. An example of this split played out with disastrous results in the U.S. Government Shutdown, where President Trump and Speaker of the House Nancy Pelosi confronted each other like members of opposing teams in sports, and making the slightest concession in playing the game meant the other side wins. Another reason for the polarization can be blamed on the news media, which likes controversy because it sells stories. So the messages from increasingly divisive political campaigns are emphasized by the media, which repeats the same messages again and again. Then, too, the social media exacerbates the problem, because individuals seek out sources for information that support their point of view, while they pay less attention to or actively screen out information sources that contradict their own bias. It's a phenomenon called "confirmation bias" and that bias plays a major role in helping individuals choose and stay with the chosen side. For example, increasingly Republicans get their news from Fox News, while Democrats tune into MSNBC, CNN, and the late night comics like Stephen Colbert. Other research points to the power of identity politics, rather than issues, as contributing to the partisan divide, such as described by Cameron Brick and Sander van der Linden in a June 2018 Scientific American Article: "How Identity, Not issues, Explains the Partisan Divide." Unfortunately, the divide goes far beyond disagreements on policy. As Brick and van der Linden point out, liberals and conservatives in America not only disagree on policy, but they are "increasingly unwilling to live near each other, be friends, or get married to members of the other group. This rejection based on group membership is called affective polarization, meaning that our feelings (affect) are different towards members of our own group compared to outsiders." According to Brakke, this great split between individuals on each side is a terrible outcome, because disagreements about policies don't have to lead to growing intolerance. However, that has been happening, as individuals on both sides increasingly distrust each other, leading to growing gridlock on Congress, as well as physical violence directed towards members of other groups. "And it gets worse and worse," Brakke observes, "because Americans increasingly don't just disagree about the issues, but they are less and less willing to socialize with others who have different views. So that contributes to building barriers between either side of the divide." Brakke also points out how these divisions have led to increasing tribalism for groups that identify based on race, ethnicity, gender, religion, and other social associations. These are some of the issues Brakke addresses in more depth in his forthcoming book Fractured America. In writing his books, which also include Crime in America and the soon to be released A Compendium of Comments on Fixing What's Wrong with the Criminal Justice System, and in working as a consultant, Brakke brings to the table a unique conservative approach to crime, criminal justice, and American society. That's because usually liberals discuss ways to reform the system through more of a social welfare approach. But Brakke's approach is based on an economic business model of doing what works most efficiently to both cut down costs and create more productive citizens.